Taking the Next Step is this year’s stewardship program to support the mission and ministry of Westminster for the year ahead. The hope of the Stewardship Committee is that this will be a process grounded in prayer and trust in God, who is abundantly gracious. 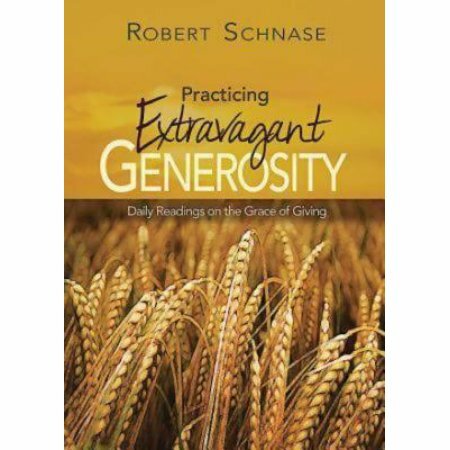 On Sunday, we began selling the daily devotional “Practicing Extravagant Generosity.” We have found this guide helpful, and ask that you covenant to read it with us from October 2-29. The devotional is available for $5 after worship on Sundays and at the front desk during the week. Starting on October 1, we’ll spend time in worship reflecting on God’s call to give. We’ll hear stories from members about who inspires them. We’ll hear how they struggle, too. On October 22, we will welcome special guest Pastor Leon D’Orleans of Haiti Outreach Ministries, an important partner in answering God’s call to love one another. In mid-October, members of each Church School class and small group will take a little time to share more about Taking the Next Step and ask for your prayers. Prayer will be an important part of this process. We have a special team of folks who are praying for the church and its ministry, and for each group within the church every day of October. We are not praying for money or larger pledges, but that God might work God’s own purposes out through each of us. Download the prayer calendar to see when your group or class is receiving prayers! October 29 is Taking the Next Step Sunday. We ask everyone to make it a priority to be in worship that Sunday. It is also Reformation Sunday. With this being the 500th anniversary of the Reformation, we have some very special music planned. Every member will have the opportunity during worship to fill out an Estimate of Giving card for the coming year and turn it in at the end of the service. A sample of the Estimate of Giving card will be published in the October 4 newsletter. Please be sure to be in worship on October 29.